After completing the academic portion of an MBA, becoming an entrepreneur might not seem like your most appealing choice. There are so many opportunities available that risking the possibility of landing a safe job seems unreasonable. In my case, being an entrepreneur was the latent choice. When I discovered the problem of food waste, I felt an immense drive to help alleviate this problem; a problem that is estimated to bring economic losses of $680 billion in industrialized countries and $310 billion in developing countries, if we speak only in economic terms. But if we start connecting the dots of what these losses represent in social and environmental terms, we’re faced with a shocking panorama that forces us to ask ourselves whether we really need to produce more to feed the world’s population or if we’re just missing something bigger. And so, this is the reason why, for the internship component of the MBA program, I chose to be a social entrepreneur. Since August, I’ve been working full-time on finding tech solutions to the problem of food waste. I’m driven by the belief that we can achieve economic progress without putting a strain on the environment. And I want us, business leaders, to dig deeper into the notion of progress and civilization. I want to encourage everyone to become a successful agent of change, either as an entrepreneur or an intrapreneur. And rest assured that whichever career choice you make, the Beedie School of Business will be there to support you and help you flourish. In my case, I’ve been able to explore this uncertain territory thanks to the kind support of professors, teammates and staff. During the Creativity and Innovation course, my teammates were the first ones to embed my solution to food waste and together we built the first Business Model Canvas (BMC). A month later, Ian McCarthy, Associate Dean for Graduate Programs, was the first person to evaluate this BMC and to provide feedback when it was just a potential project early in June. Stephanie Bertels, Professor of Sustainability and Director at the Centre for Corporate Governance and Sustainability, helped me get the first interviews with professionals working in the recovery of surplus food items. Later on, with a refined model, I presented an internship proposal to Jan Simon, Academic Director and Senior Lecturer in Finance. Without his consent and support I wouldn’t have been able to pursue the entrepreneurial path. In a month from now, my internship will conclude with the presentation of a Business Case on entrepreneurship. And last but not least, in regards to the support received from Beedie, I’ve been fortunate to have staff members such as Stephanie Reimer, Student Engagement Manager, encouraging me along the way. Stephanie followed my progress, attended my very first pitch and has kept me posted with upcoming opportunities related to my social venture. Her support has been a light in the “solopreneur” road. But not only SFU has a lot to offer. Vancouver itself has a vast array of networking events, which happen almost on a daily basis. So far, I’ve attended over 20 networking events and conferences around the topics of startup and tech innovation. Most of them are free to attend and the rewards of the connections you make are immeasurable. At these events I’ve met lawyers, investors, mentors, entrepreneurs, tech experts, but most importantly, people who are driven by the same passion of building new things. 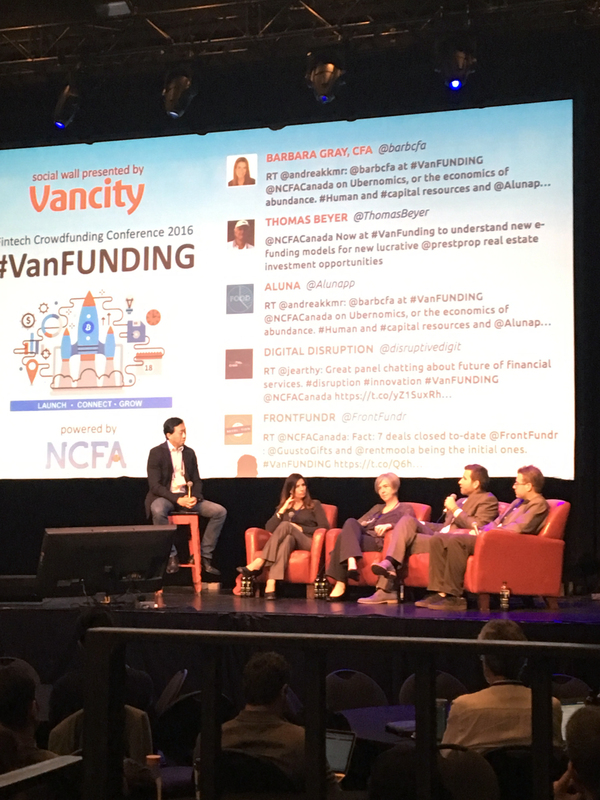 Some of these remarkable experiences include the VanFUNDING event on FinTech Crowdsourcing and the Start-up Canada Regional Awards, to mention only a few. 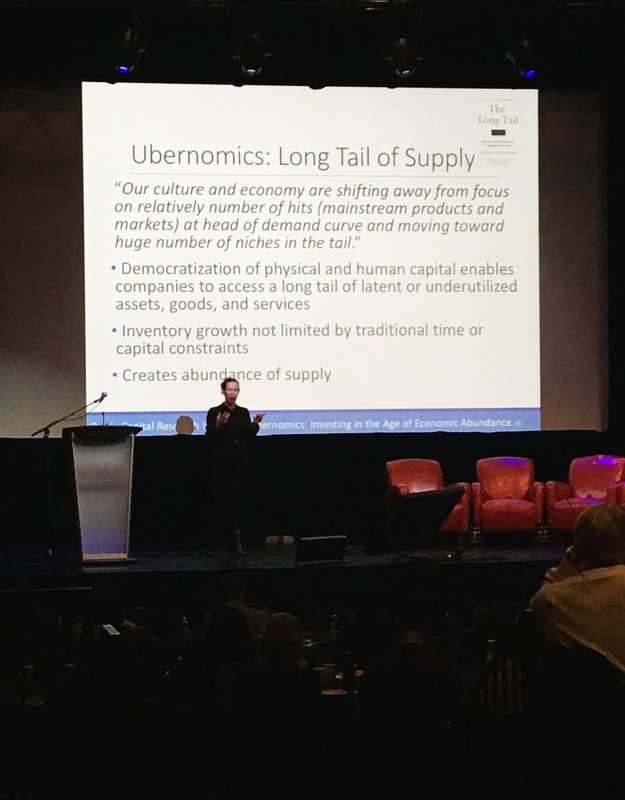 At these events, one connection leads to another and you can really benefit from the butterfly effect of being in a small city like Vancouver where you become familiar very quickly with everyone on the start-up scene. Now that my internship period is about to be over, I’m grateful for being able to apply the knowledge and skills that I acquired and enhanced during the FT MBA Program at Beedie. I’m gaining first-hand experience on all business areas –through the entrepreneurial lens. As a highlight of achievements, I’m proud to say I have two proposals under evaluation. A major retail group is revising the first one, which, if approved, will last for 7 months approximately. A coffeehouse chain is revising the second one, which, if approved, will allow me to test a pilot initiative. Furthermore, I’ve been voted 2nd best pitch at the VANTEC Angel Network practice round, but before accepting any investment, I want to secure the first revenue source. As you can see, being an entrepreneur means that you are wearing “all hats” at the same time.? You’re the business developer, the business analyst, the electrician, the financial advisor, the graphic designer, the marketing guru and the sales agent, all at once. Clearly, this is not a career choice for everyone. But if you have the gut feeling, the business acumen and you love taking risks; this might be the right choice for you. My best advice, if you chose to become an entrepreneur after completing your MBA, is to make the most out of the resources that Vancouver and the Beedie School of Business have to offer. 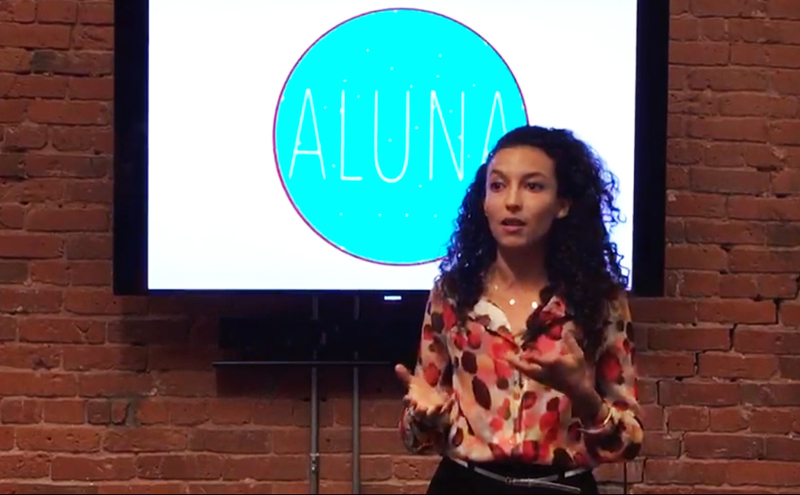 Andrea Moreno is the Founder of Aluna Creative Agency, a social enterprise that rethinks and reshapes existing systems. 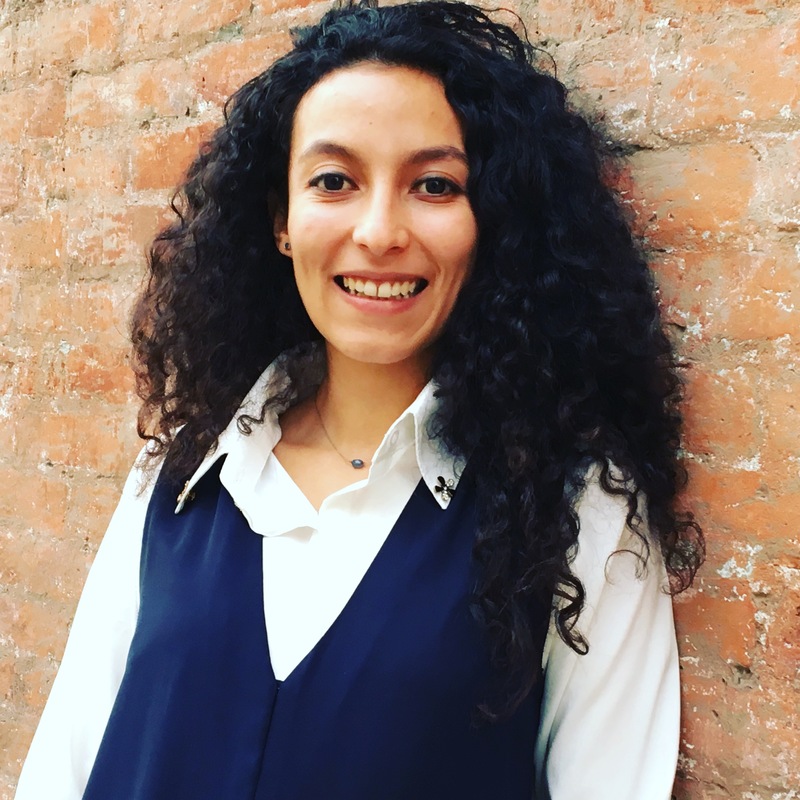 Given her social and environmental commitment, she was granted with a full scholarship to attend UWC Costa Rica from 2009-2011. She has a Diploma in Arts and Design from the University for the Creative Arts in the UK and a Film Production undergraduate degree from the ESEC in Paris. After doing her first internship assisting the director of Un Certain Regard -Official Selection- at the Cannes Film Festival, she undertook the road of film sales at the renowned agency Films Distribution in Paris and later on became an International Sales Agent at the award-winning production company Burning Blue Cine in Bogotá. She is currently completing her internship period as an SFU Beedie School of Business MBA Candidate.